The first time I took the PTE exam, I assumed that as a native speaker I could just “see how it would go” and still come out with top marks. Unfortunately, I was very wrong, and this was reflected in my scores. Here is the problem: many people think to themselves “I speak great English, I have top marks in English at school and I practice with my friends all the time! An English proficiency test should be a piece of cake!” Here is the problem with that logic: English proficiency tests are not just about English. There you have it, the secret is out! Remember, the PTE exam exists to assess your ability to operate in a completely English environment, be it a workplace, a university or a training program, and to do this you must be skilled at critical thinking, social interaction and problem solving. My old French teacher used to say, “it’s one thing to speak another language. It’s another to be yourself in another language”. I don’t think truer words have ever been spoken. Not only do you need to prove your proficiency, you need to prove your skills and strengths in a language that is not your own. You’re smart. I know you’re smart. You know you’re smart. You can do this, even if it seems frustrating and discouraging. 1. Assess your skill level. Find practice questions and material and get a sense of what the PTE exam questions will look like and what you find challenging. One thing that we see a lot at PTE SECRETS is people who are unrealistic about their skill level and their timeline. They are completely lost and confused about the PTE test format, yet they’ve booked their test for the next week and are determined that they can improve in an extremely short period of time. IF YOU ARE IN THIS SITUATION, PLEASE RECONSIDER WHAT YOU ARE DOING!! This kind of thinking is a recipe for disaster. I know there are deadlines, I know you think you need to do it sooner rather than later, but it is NOT worth failing the PTE and losing confidence just because you wanted to get the exam over with. 2. Stop doing practice questions immediately! Now that you know where you stand with your level, it’s time to work on your weak points. Our PTE experts can help you with this. Not only can they work with you to create a realistic study plan that suits your needs and timeline, they can provide support in the areas where you struggle most. Many people don’t realize that they struggle in a broad area like reading or writing because they lack or have forgotten the building blocks (like basic grammar, sentence structure or format) that these broad skills are based on. Our teachers can identify the missing building blocks and help you add them to your repertoire. Practicing questions over and over won’t help you improve or get the PTE test result you need. Building on your knowledge will. If you’re looking for free resources, check out our free PTE webinars and the PTE activities available on this blog! 3. Reassess yourself. After you’ve worked on your skills, you’ll need to know where you stand again. 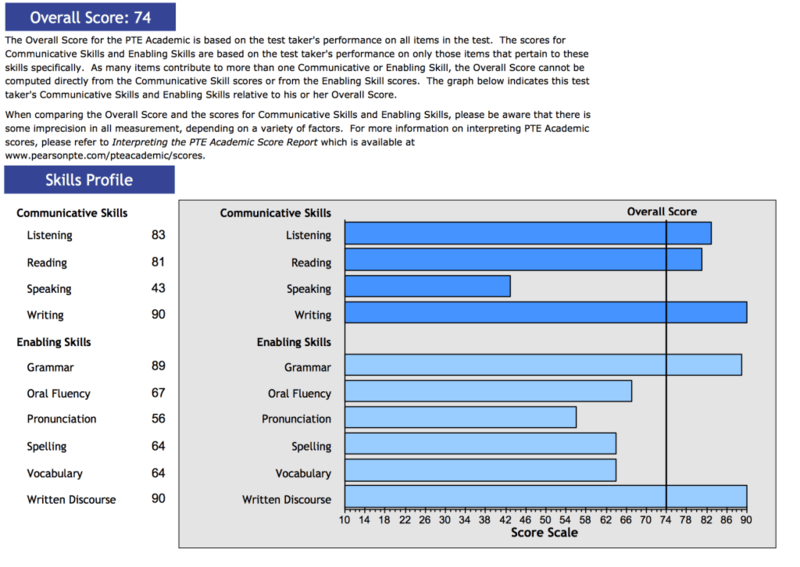 Feedback from your PTE Secrets tutor is an excellent way to assess your new level. Now is also the time to try out some more practice questions and get a sense of your improvement. Once you are comfortable with your improvement in your weaker areas, it’s time to get serious about practice questions. A lot of people think that mock tests will get them to PTE success. I have to dispel this myth. Mock tests are useful WHEN you know what you are doing. When you are using them as your only means of preparation, they are a complete waste of your time. 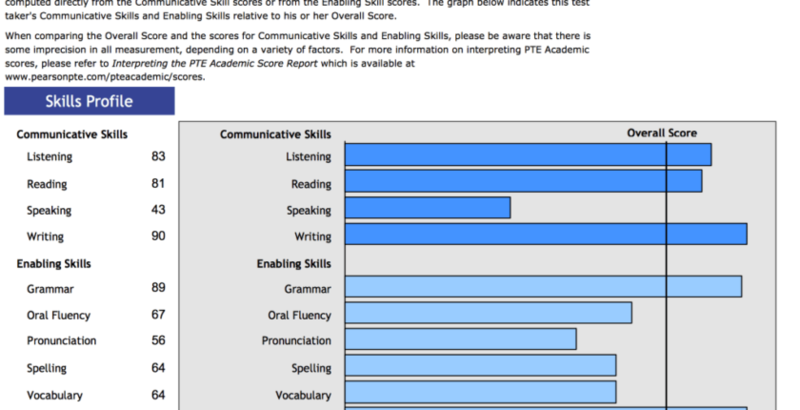 My PTE Score After Skill Building and Using the PTE Secrets Methods! I really don’t want to scare you, but I also want to be completely honest; the PTE exam centers are not even a little bit fun. They are stressful environments filled with nervous people, security measures, and (most importantly) lots of NOISE. PTE Exam Tips : I’ve said this before and I’ll say it over and over again: most of us do not prepare adequately or appropriately for this environment. We are trained to find quiet, comfortable places to study, and PTE exam centers could not be further from this setting. You must sit in a cramped cubicle for over 3 hours with the deafening sounds of other voices and frantically tapping keyboards surrounding you. You can’t eat or even drink water during this time, and any stretches or excessive movement you make could put you under suspicion of cheating. 1. PTE Exam Tips : You need to get used to studying in chaos. Record yourself practicing a speaking task in a bustling cafe, try a reading exercise on a noisy tram, or listen to fascinating podcasts in a public park with an outdoor band playing 10 meters away. It sounds a bit silly, but I promise you it will pay off. Your brain will start to get used to tuning out irrelevant information and focusing on the task at hand. It will be frustrating at first, but you will notice a difference in how you handle distractions. Try studying in a busy café to get used to noise. 2. PTE Exam Tips : Along the same lines as training your brain to tune out chaos, you can try a nifty trick I learned back when I worked in a neuroscience lab. Instead of rushing through the PTE instructions and starting the speaking section as soon as you can, take your time. Wait until you hear people around you begin their speaking tasks, and give yourself another minute after that. Your brain will do this amazing thing called “habituation”, or in other words it will get accustomed to the sounds around you and will start to ignore them. This will make it a lot easier for you to focus on your own task at hand. 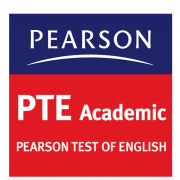 PTE Exam Tips : When I wrote the PTE for the first time, I was the first to begin the speaking section. It was going okay until other people started speaking, and then I was completely thrown off. Why? My brain did something called “sensitization”. As soon as a new stimulus was introduced (in this case, 5 other voices booming through the small space), my brain fixated on it and allowed me to become distracted. The second time I wrote the PTE, I was the last to begin the speaking section and I noticed a significant difference in my level of concentration and focus. Wait to start the speaking section until you hear other people begin. 3. Take the PTE earlier rather than later. Again, this is basic neurobiology. Your brain activity is at its peak in the early morning, and around lunchtime it declines rapidly along with your body temperature, making you sleepy and less responsive and productive.